At skyenimals.com we feel that activities shouldn't always be "arcade" style games that are intended to keep children glued to the computer. That's why we try to have a mix of online activities and printable, play on the floor or table type of activities. If you have an activity comment or suggestion please send it to us via the Contact Us link at the bottom of this page. Take a look at any skyenimal/user/animal page for the following activities. For example, check out the Zurtle page. More coming soon. If you have any suggestions, let us know! Print, cut out, tape to popsicle sticks (or pencils) and enjoy! 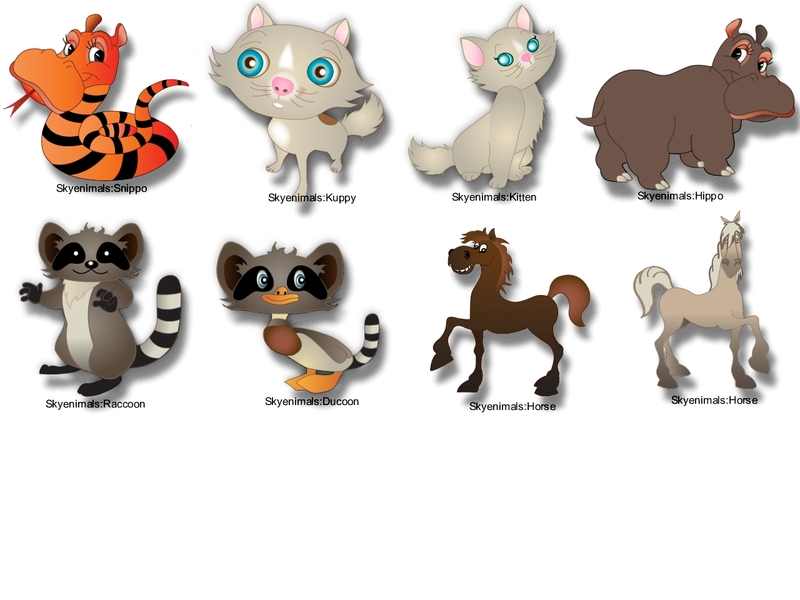 Skyenimal Puppets - Snippo, Kuppy, Kitten, Hippo, Raccoon, Ducoon, Horse. 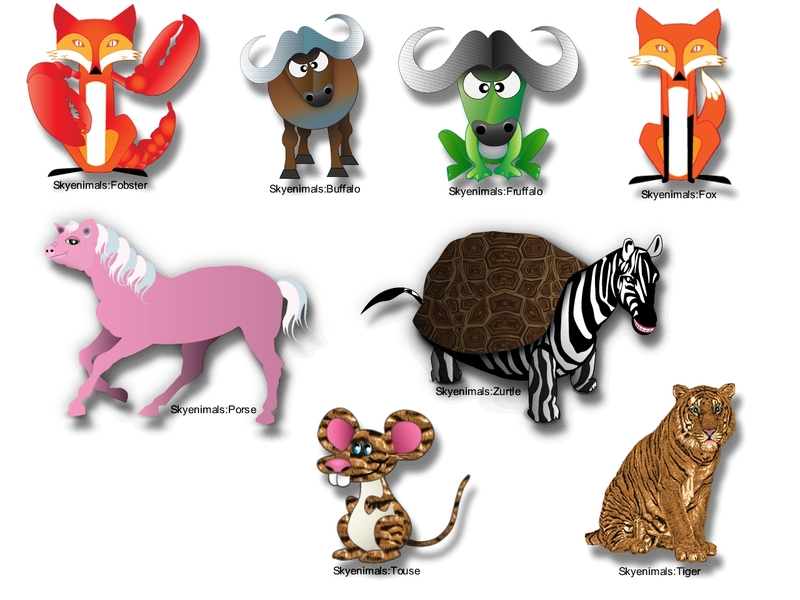 Skyenimal Puppets - Fobster, Buffalo, Fruffalo, Fox, Porse, Zurtle, Touse, Tiger. 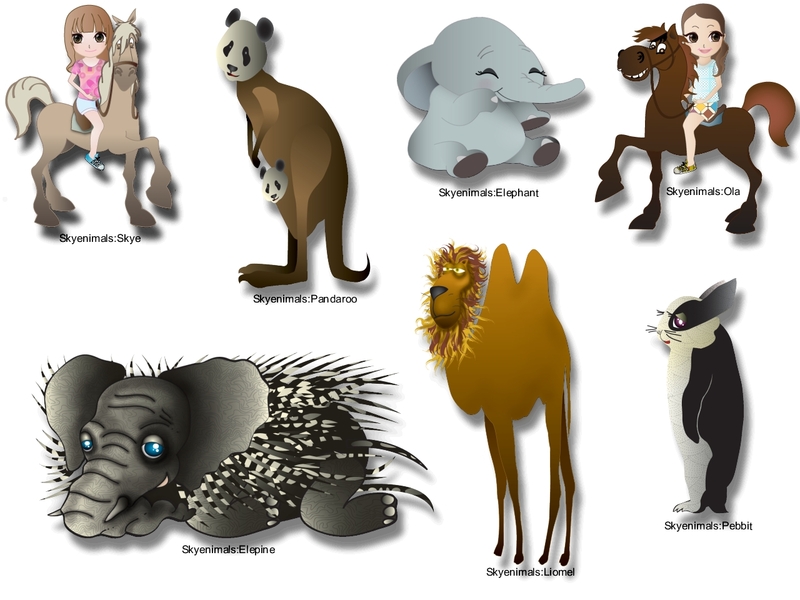 Skyenimal Puppets - Skye, Ola, Pandaroo, Elephant, Elepine, Liomel, Pebbit. Skyenimals - spot the differences. Skyenimals - Find the skyenimals.